Melvin “Mel” Ray Syring, age 58, passed away Saturday, October 27, 2018 at his home in Miles City after battling lung cancer for two years. Mel was born at Fort Ord, California to his Navy parents Howard and Carol Syring on April 26, 1960. He was the first of three sons, with Jim and Jon following. Mel has four sons; Brian, Eric, Tim and Randel. 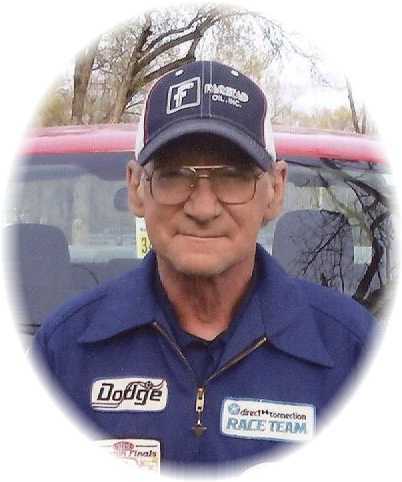 Mel had a career as a mechanic for many years and was known as a top mechanic in automotive, light truck and heavy truck areas which included driving truck. He enjoyed working on cars the most. He worked on everything from drag race cars to bump-n-run and demolition derby cars. You could always find him in the pit area during demolition derbies. Mel had many friends. His favorite time of the day was coffee time with those friends. He is survived by his parents, Howard and Carol; his brothers: Jim Syring and Jon (Paula) Syring; his sons: Brian Perkins, Eric Syring, Timothy Syring and Randel Syring and his step daughter Rachel whom he loved, his grandchildren, nieces and nephews. A memorial service will be held on Friday, November 2, 2018 at 1:00 p.m. at Stevenson & Sons Funeral Home in Miles City. Condolences may be sent to the family by visiting: www.stevensonandsons.com. I am saddened to learn that Melvin is no longer with us. He was a very kind hearted man and loved his family very much. I am grateful for knowing him over the years. My thoughts and prayers go out to you all. May God give you the peace that you seek and the strength to get through this difficult time. My most heartfelt condolences. My thoughts are with you all, this is incredible sad news of Melvin. Prayers for comfort to all of you at this time. Howard and Carol, I am saddened to hear about Melvin’s passing. He was a great man and it was a privilege to know him these many years. May you both find peace and strength in your time of loss. My heart goes out to you both. So sorry for your loss! May your memories comfort you. SORRY ABOUT MEL WE SURE GOING MISS AT THE COFFEE TABLE HE WAS AND EASY GOING MAN we will miss him. You will be missed terribly. Our thoughts and prayers go out to your family. Mel was a terrific guy. Jesus will see you through… he loves you very much. Harold, Carol, Jim and Jon, sorry for the loss of Melvin. Was a great guy and friend. Prayers for your entire family. We are so sorry to hear of Mel’s passing! We are thinking of you all! Love Troy and family and Kendra &family! Howard, Carol, Jon and Jim, sorry about Mel. He was a great guy, always ready to help anyone. Howard,Carol,Jim and Jon so sorry to read about Melvin. In prays! Love u all! RIP Mad Mel You will be missed by so many. You will always be a part Of JAGG Racing!!! # 007 # 700. Going to be hard being in a derby Car and not having u around. Go crash some cars with my dad in Heaven. Be Pain free Mel. Love u.
Mel was a very kind and honorable man and everyone that knew Mel liked him. I was blessed to have Mel as a friend. I visited him last week at his home he said he was having the best day he had for a while. We have all lost one of the best. Howard and Carol I am so sorry for your loss. Mel will truly be missed by all. So sorry to about Melvin , you are in our thoughts and prayers . I am so sorry for your loss. May you all find peace in your fond memories of Mel. So very sorry to hear about Mel’s passing. Hugs and prayers to you all. God Bless. Praying for the family..
Howard Carol boys I am speechless may God wrap his arms around you all for comfort and hugs and players from me to you all. Growing up around Mel, Jim and Jon made me realize how great Howard and Carol did rasing them. We don’t see as much of each other anymore but the memories are still there. So sorry guys. So sorry to hear about Mel! He was a great guy and was willing to help anyone. Always had a smile for you too. Praying for comfort for all of you! Our sincere sympathy to all of you, and cherish your treasured memories of a very nice fellow. Carol , Howard, Jimmy and John. So sorry to hear of Melvin Passing. I hope for strength for you all to get through this. We should not have to bury our children. They say we go to a better place. I hope so. Please let me know if I can co anything, large or small. I mean that. Melvin was a true friend in all ways.We were kids when we met and we loved each other.We shared our thoughts and views and lots of laughter.I was very honored to be chosen as his best man and his friend.My life is richer having known him.I feel better knowing he is with God and out of pain but now there is a huge empty spot in this world.It is so hard to put the comradship we shared in words.The last thing he told me is I love you Tim and we will go fishing soon.He excelled as a diesel mechanic my Father and I called him many times to fix stranded trucks and buses.He had them up in running in a short time.My father James C. Patrick al ways called him the incredible Hathaway diesel mechanic.My love and sorrow Howard and Carol, Jimmy and Jonny and family.Their will always be a place in my heart for Melvin my friend and brother I know you are with the Lord save me a spot. I’m so sorry for your lose. I sure enjoyed working with Melvin. Im so sorry for your lose i sure will miss Mel i love to deliver parts to him n he was a great neighbor RIP Mel.